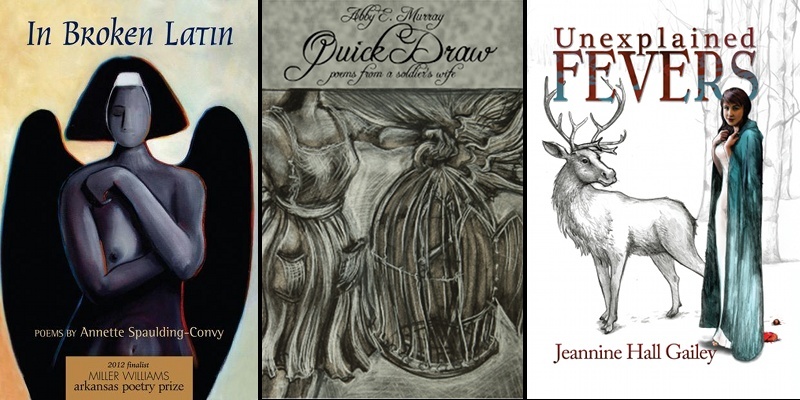 In my latest poetry review on Huffington Post UK, I look at the newest collections of three poets with decidedly unique worldviews. More than this, what excites me about the trajectory in each collection is that in addressing gender, they have moved beyond postmodern deconstruction and disillusionment, expressing integrated perspectives whose reconciliation feels earned. That is, they do not simply open the wound for the sake of it, but to cleanse and thereby better heal. A nun spikes her drinks with sacramental wine and wears red lace underwear. A soldier’s wife sits by the bed of a man whose legs have been blown off, and writes his story. In the hands of the poet, Sleeping Beauty has an MRI and Red Riding Hood becomes a femme fatale. Though rich in social commentary, these three American women poets tell their stories, not in generalisations, but through each well-honed line. As Wallace Stevens admonished, “Conceptions are artificial. Perceptions are essential.” The perceptions of these three are sensuous, evocative, and riveting. Read the full review on Huffington Post UK.